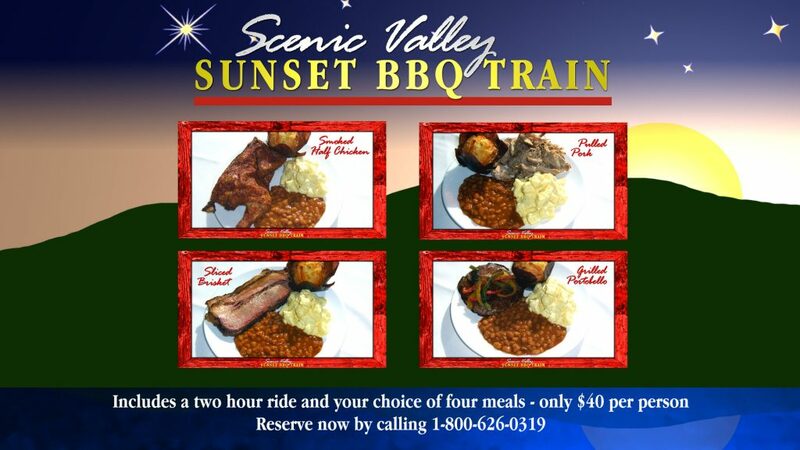 Tickets for our Valentine Dinner Trains (February 8, 9, 14, and 16) are on sale now. Tickets are $67.25 per person, and include your meal, a two hour and fifteen minute ride, and admission to the James H. Andrew Railroad Museum. Select from Ribeye Steak, an Iowa Chop, Spinach/Ricotta Stuffed Chicken Breast, Honey/Chipotle Salmon, or Homemade Vegetable Lasagna. These trains tend to sell out quickly. Don’t miss out! Reserve soon by calling 1-800-626-0319 or 515-432-4249.